Dentophobia, or fear of going to the dentist, is a common issue. Many people have had past negative experiences, while others are afraid of undergoing painful procedures. If you start shaking in your boots when it’s time to visit your dental care provider, you might put off making your appointment. And then put it off some more. And then put it off a little more. However, thanks to sedation dentistry in Long Island City, there is no need for you to be afraid of your next dental visit. 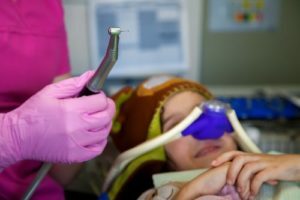 There are different levels of sedation available at your local dentist in Long Island City, and the level that is right for you will depend on what work you are having done as well as your personal needs. Whichever method you choose, you can be confident that your dentist will do their best to make sure you are as comfortable and relaxed as possible during the procedure. Sedation dentistry can benefit people of all ages. It is even appropriate for people who do not have a deep fear of visiting the dentist. If you have very sensitive teeth or gums, or if you simply have trouble sitting still, it may be right for you. Your dentist will give you two pills. You’ll take one the night before your procedure so you can relax and get a good eight hours of shuteye. You’ll take the next one about an hour before the dental work begins. You’ll probably remain conscious during the procedure so you can respond to any questions the dentist asks you. However, you won’t experience any pain. You’ll feel very relaxed and enjoy an overall sense of well-being. Afterward, you might not remember undergoing the dental procedure at all. Since the drugs used in oral sedation are pretty powerful, you’ll need to have someone drive you to and from your appointment. Nitrous oxide, commonly called laughing gas, is administered through a mask that goes over your nose. Your dentist can easily adjust the level of nitrous oxide that you’re receiving so you’ll stay comfortable and relaxed. It begins to work as soon as you inhale it, and its effects wear off quickly after you’re no longer breathing it in. With this type of sedation, therefore, you’ll be able to return to your daily activities soon after your dental work is done. Afraid of the dentist? Don’t be! Let your sedation dentistry experts in Long Island City help you relax. Dr. Ishwinder Saran is one of your friendly, dedicated dental professionals at LIC Dental Associates. His extensive training and his resolve to cater to each patient’s needs make him a competent and compassionate care provider. If you have questions about sedation dentistry, reach out to Dr. Saran and the team at LIC dental Associates at 718-530-6539.